July | 2013 | mmmmbike! 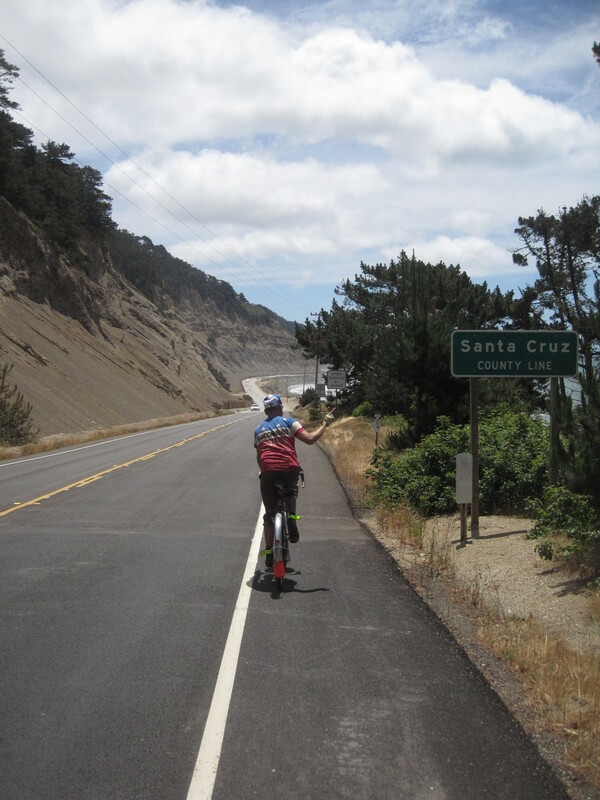 The San Franciscadero permanent route, like the Coastal Cruz route, begins in San Francisco and heads southwest along the coast, contains a fair amount of climbing and rural roads, and like the Coastal Cruz, has earned its place in my heart. It is a tough bike ride; some polite riders might call it ‘challenging’. Results for this route tend to be an hour longer than for the Coastal Cruz. Geoffrey H set the course record at nine hours, fifty-one minutes. Aaron W holds the Lanterne Rouge for this route at thirteen hours, thirty-one minutes. 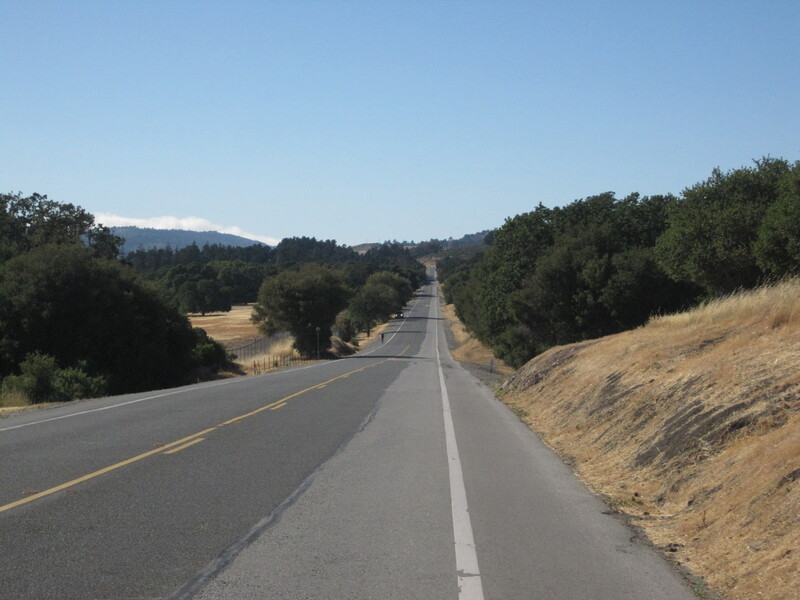 This just shows what a difficult route the San Franciscadero is: 200k permanent routes are supposed to have a time limit of thirteen hours, thirty minutes, but because of the elevation gain and five extra kilometers, you get a few extra minutes. Both Ely and John P have done it in the pouring rain, which can increase finish time also. John and I did not have that excuse for finishing on the late side (um, results pending, but I seem to remember something about over thirteen hours), but we did have a full day on our bikes. He had just rebuilt his white Pelican as a Towny-and-Countryy bike, and was wanting to test it out for a 200k. I am not very good at even basic level bike maintenance in spite of having great hand skills from a lifetime in manual trades, so unfortunately most of John’s randonengineering goes way over my head. I do love the new version, though… possibly because this bike is a little like my own white townie, but with much (, much!!!) nicer parts. Also I love MKS touring pedals. I know by now this is way outside the bounds of conventional cycling wisdom, but check out this email response on the national randolist on the topic of hot foot: “+1 on the platform pedals. I tried the custom orthotics, expensive custom built bike shoes etc. with limited success. I now use the MKS Touring platform pedal with No Clips. 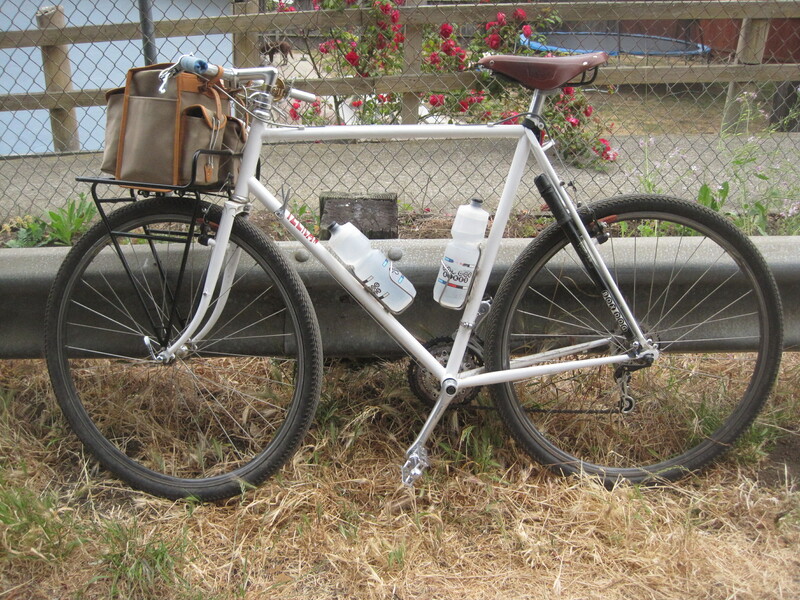 I recently completed my 10 Super Randonneur series with this set up.” Wow…yay! You truly see everything in randonneuring, once you stick around. Anyway, I rode my trusty blue Pelican for this ride as I have for all others. I was nearing 7000 miles on it as of this ride since I got it in early December 2011. I have replaced the chain & cog set once (probably due for another chain), the tires once (will be replacing those also), and the brake pads numerous times, but otherwise it’s just like new. sniff. 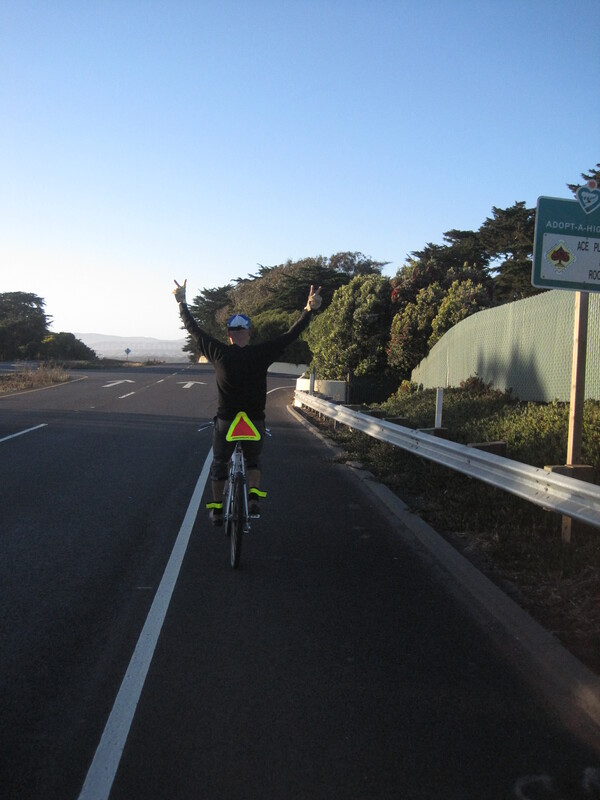 JP giving himself the victory sign in spite of losing the Moss Beach city limit sign sprint. Ha! 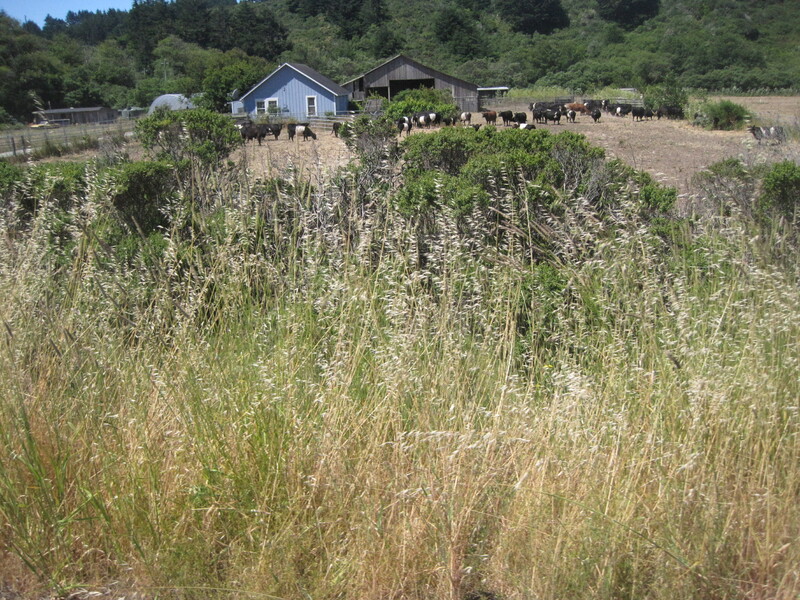 Normally we take a long break to eat in the backyard of the grocery that serves as the contrôle in Pescadero, but we had decided just to buy a sandwich there to eat in the evening and have our lunch at the Beach House further along. So, off we went, departing from the section of the route as is used by the Coastal Cruz we did a couple weeks before. If you are reading this blog, you probably participate in long distance cycling to some extent, and if that is indeed the case, you may be interested to learn that Kroger brand Ensure is just as good as regular Ensure, at about half the price. Six buxx for a six pack on my sixth ride of the ol’ R-12. Unfortunately, although I brought two of these lovely savers (one for me and one for my companion), I failed to choose the correct time to consume mine and bonked haard on the climb up Alpine to Skyline Boulevard. I didn’t sleep enough the night before either, which kind of ruined a stretch of this route I usually love. 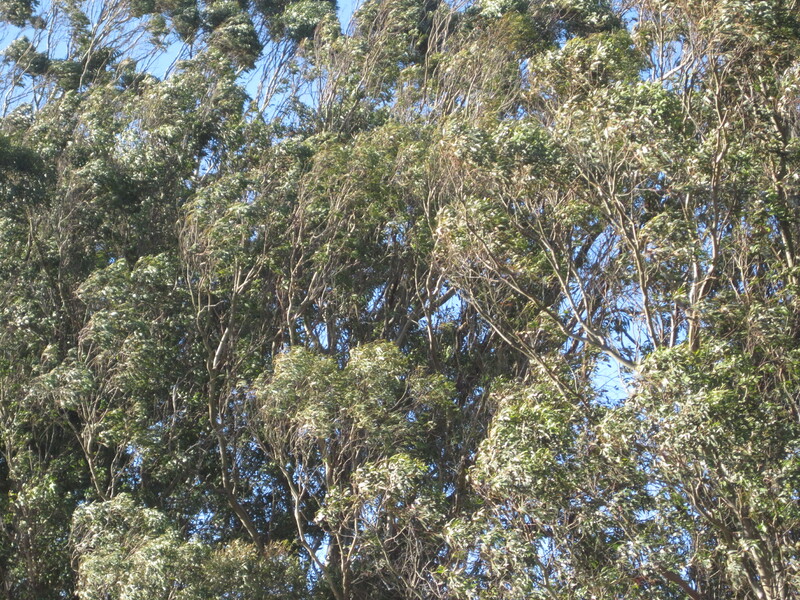 Having chosen the proper time to consume his sensibly-purchased Ensure, John darted up Alpine like a spry mountain goat; he had also done the Hot Dart the week before (115 degrees on Mount Diablo ain’t noo joke), so while I wilted in the sweltering sun, he hardly noticed the heat in spite of his black t-shirt. At the info control, John encouraged me to drink my Ensure, and I did. We arrived at the contrôle in Woodside with several minutes to spare, though fewer than my last run of this route. 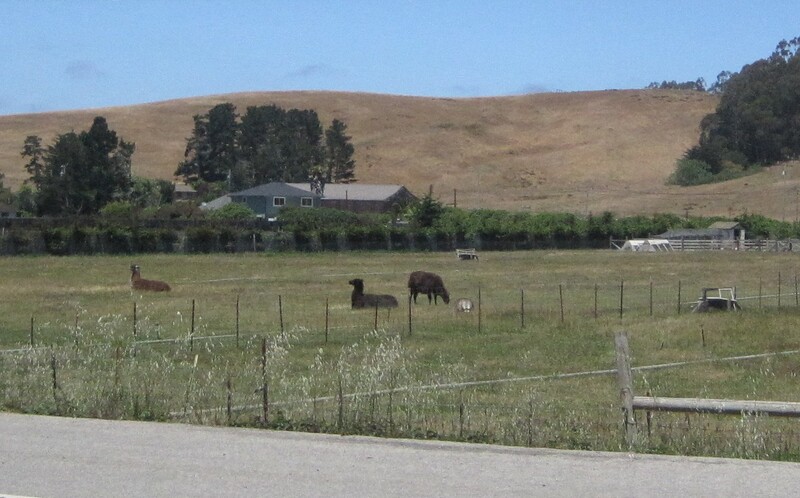 We enjoyed ice cream sandwiches, and John announced he wanted me to pull him over Cañada Road. Feeling refreshed, I was most happy to fulfill this request. 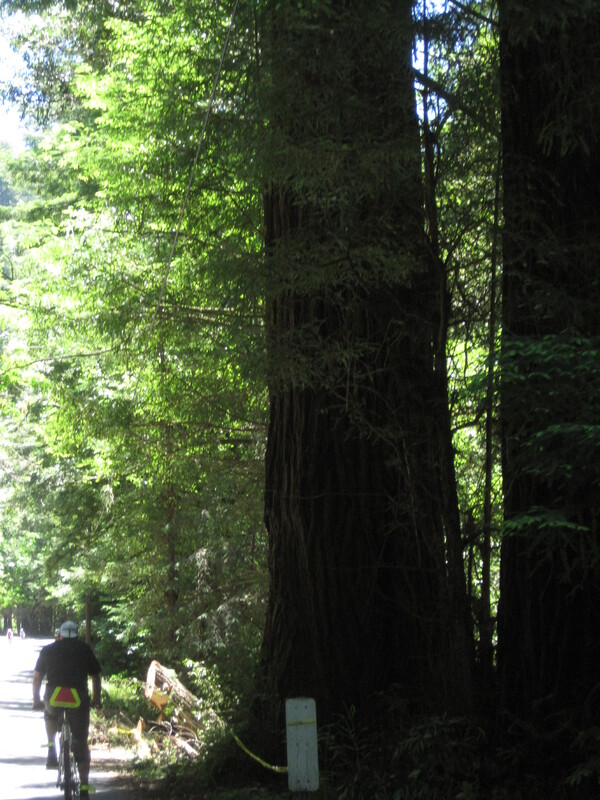 He said if we made good time, we could have a picnic at a spot he’d picked out along the Sawyer Camp Trail. Yay! It seemed unlikely we’d have enough time at that point, but I was pleased to find I had the energy to try. 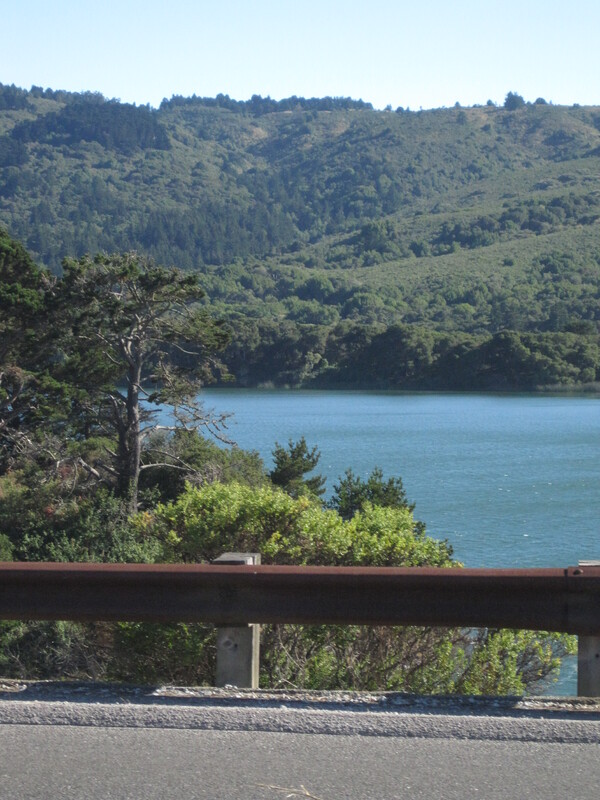 Crystal Springs Reservoir looks enticing… I want to jump in! 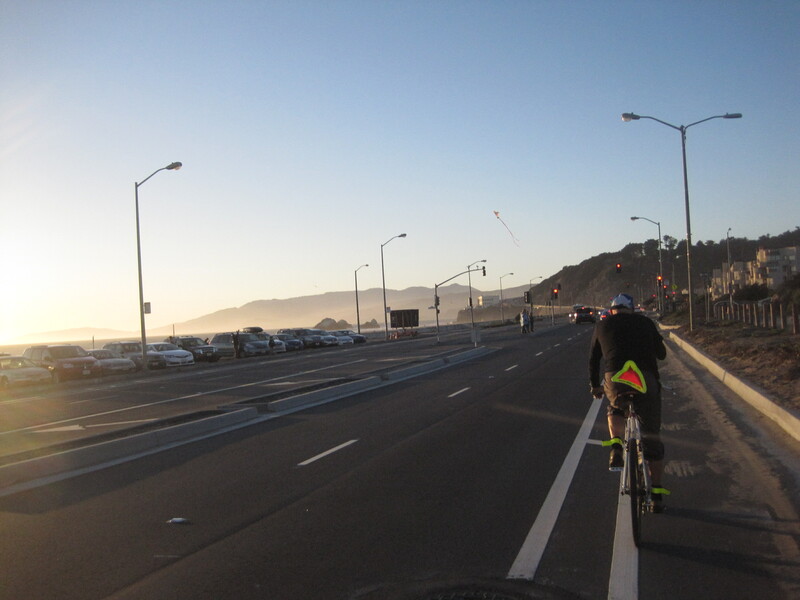 Once we get to the end of the bike path and have to ride along the highway, we ride into the wind for some miles more. The road pitches up, the road pitches down. It has been a long day, and now we are on the most trafficky, auto-speedy part. We ride quietly, with our heads down. 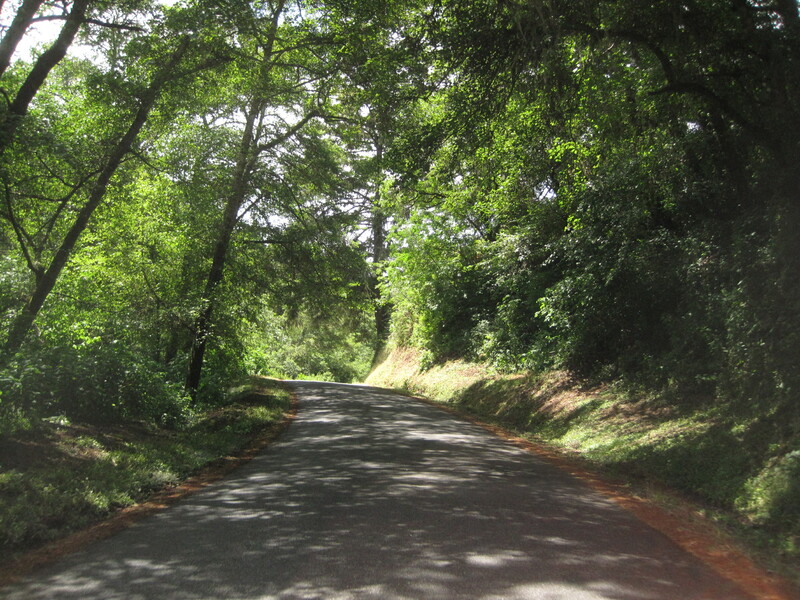 On one of the uphills, I lift my head, and in the soft distance up ahead, I see– but wait! Could it be?? 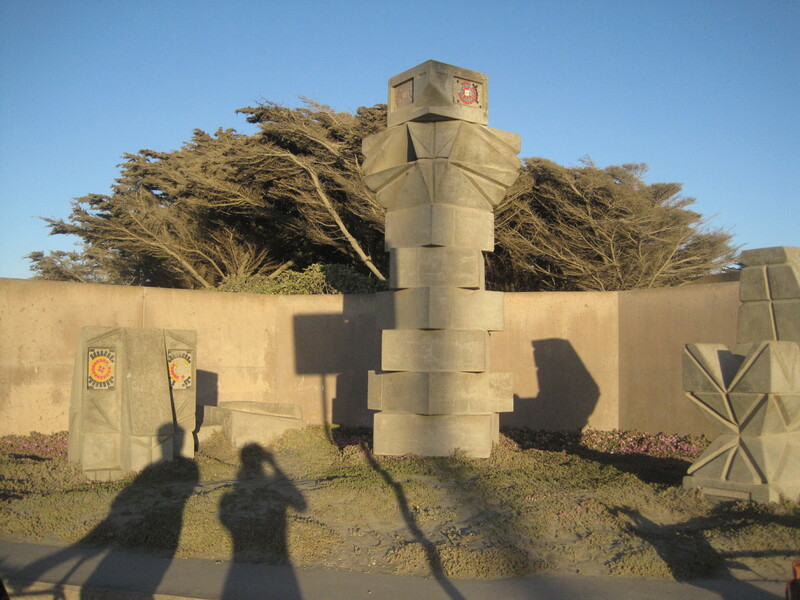 I dare not look back to see if John has seen it: the PACIFICA CITY LIMIT SIGN! I increase my speed imperceptibly. Slowly, slowly, I gradually go faster. Getting closer to the sign, I increase my speed faster, then faster. I hear a loud whine behind me, and then I know I’ve got it! Yessss! 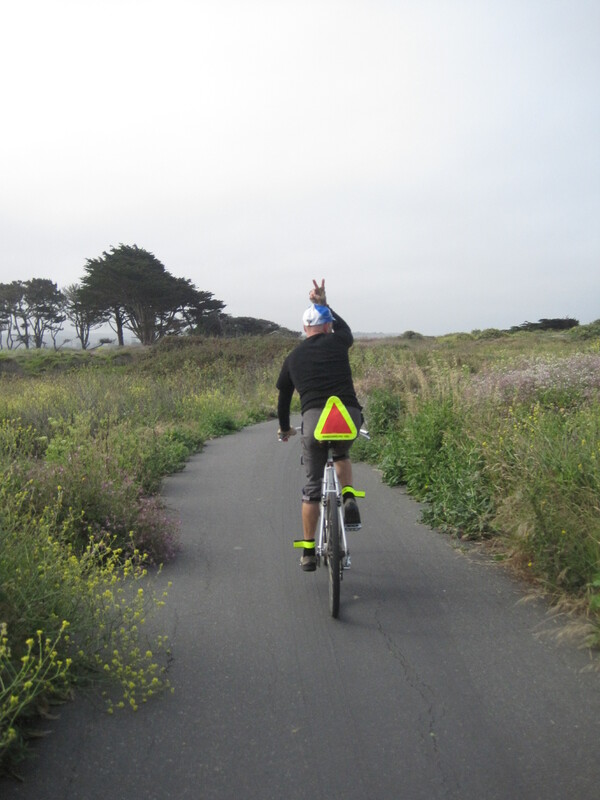 John took this defeat rather to heart, so when we neared the San Francisco city limit sign, I handed the final city limit sign of this day’s cycling endeavor over to him. 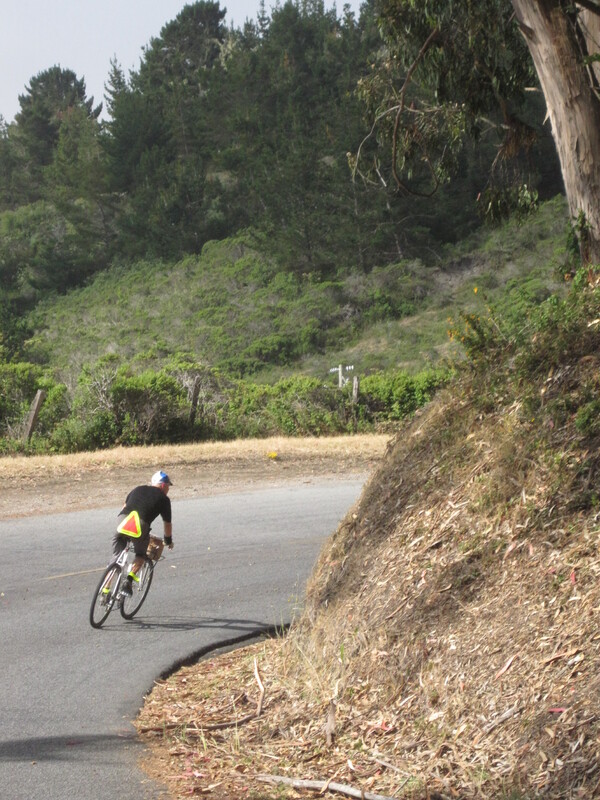 I did not race him for it; I left all my sprinting energy in Pacifica. 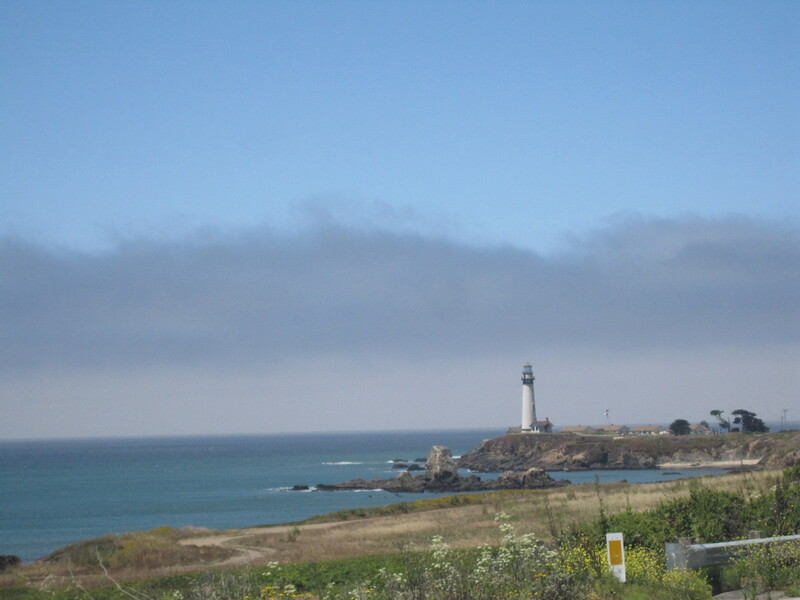 For the fifth installment in my 2013 R12, I rode the Coastal Cruz route… for the fifth time! Yes, I like this route. It constituted a full third of my 2012 R-12, including a dramatic photo finish for the 12th installment. 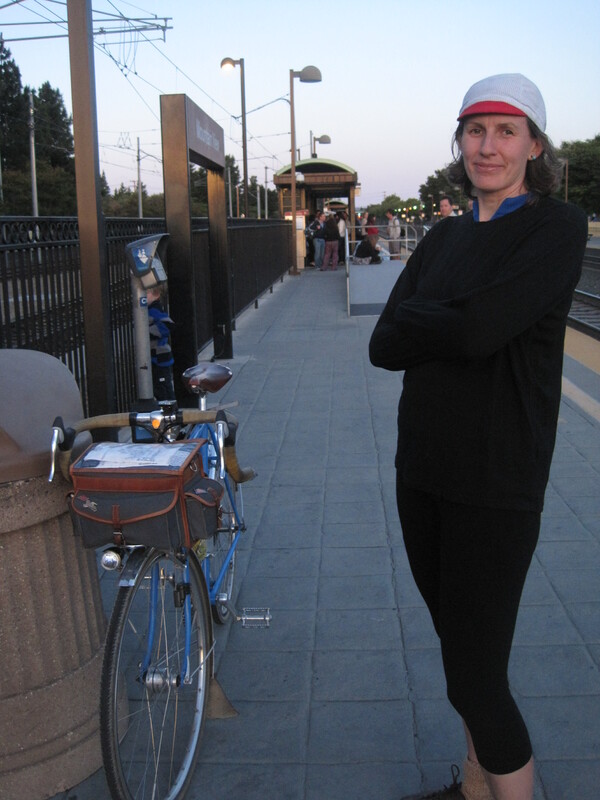 The third time I rode it was the first time John and I rode together (for the Santa Cruz Randonneurs Dart), sparking a flame that would turn into a full-fledged bicycle romance, which by now you are sick of reading about if you have been reading this blog. But something I discovered after completing this ride is that John and I have logged approximately 1500 miles together since that dart last August! Whew, that went by fast. Three camping trips, the fleche, the 400k, several 200k permanents, and other rides purely for pleasure, and all of a sudden we are racking up Big Miles. Go Team Poteman! or… Team Coltis? Anyway, John is a super guy and there are many reasons why we are compatible, but I will encapsulate the feelings I have for him by saying life and bicycling are better with him around. I had resigned myself to this being my first solo 200k after hearing the tales from the 600k he had just finished two weeks before. I thought I had some difficult stomach issues on the 400k, but his were difficult-er, as he had to stop in the middle of a fast technical descent in the dark to barf by the side of the road. And then ride another 300k or so. Randonneuring is awesome, am I right? This kind of thing doesn’t happen all the time, but it does seem to happen to everybody at least once. When you do as many rides as John has done, it will happen eventually. I believe this is his 6th SR series (one each of 200k,300k,400k, and 600k). After our beautiful and worry-free, even barf-free, bike tour in April, I’m sure RUSA and ACP events don’t have the same shine for John. Even still, he rode along with me (though not for RUSA credit) for my R5. Yay! Check out the flickr set for the typical gorgeous views of the California coast, the lovely weather we enjoyed that day, and visions of the ever-popular Ugly Mug Cafe as seen by its piscine residents. I would consider myself blessed to ride this route five-and-twenty more times or more. May installment? Check! Thanks, Pelican.